Automaker aims to put as many as 2,500 on the road annually during test program. 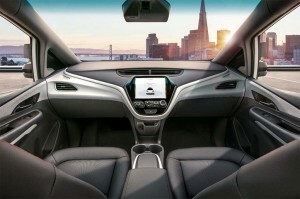 GM will use an updated version of this Chevrolet Bolt EV - sans steering wheel and pedals - for the robo-cab test program. General Motors wants permission from federal regulators to begin testing driverless robo-cabs on public roads, starting in 2019, a move that could position the Detroit automaker as one of the leaders in the development of autonomous vehicle technology. Company officials said they would roll out as many as 25 vehicles annually under the pilot project, if given approval from the National Highway Traffic Safety Administration. GM ultimately hopes to provide the vehicles to ride-sharing services such as Lyft – in which it is a major investor – as well as its own service, Maven. 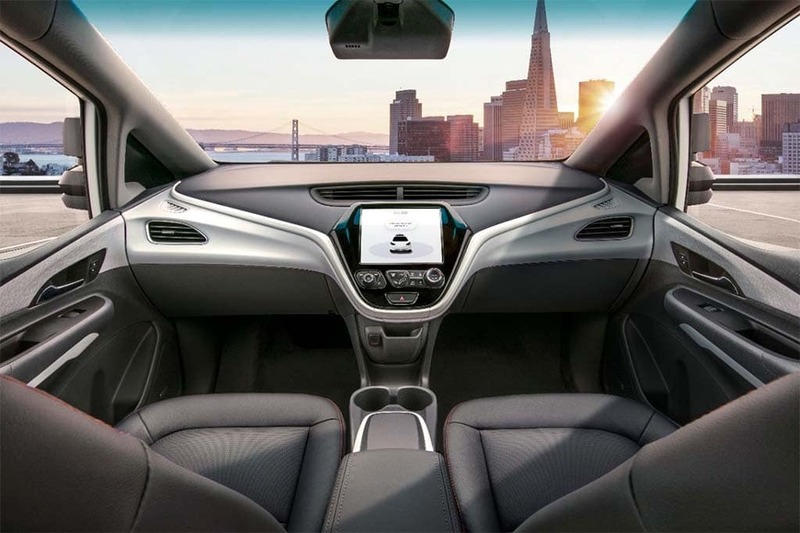 GM’s announcement came on the same day the Boston Consulting Group issued a new report looking at the impact technologies like autonomous driving and electrified vehicles will have on the auto industry over the next two decades. Among other things, the study forecast that about 20% of the miles Americans travel by automobile in 2035 will be in robo-cabs operated by ride-sharing services. This GM rendering shows how the robo-cab will use a variety of sensors to see the world around it. But the report warned that as millions of traditional car buyers shift to using ride-sharing services, global sales of new cars, trucks and crossovers will plateau. And traditional automakers could wind up with the short end of the stick, ride-sharing services like Lyft, as well as technology providers gaining control – and the lion’s share of industry revenues – by the mid-2030s. Some automakers, notably including GM, Ford, Volkswagen, Toyota and Daimler AG, are trying to adapt their business models, repositioning themselves as “mobility companies,” rather than traditional automotive manufacturers. GM has already launched its first semi-autonomous model, the 2018 Cadillac CT6 sedan equipped with Super Cruise. The technology allows a motorist to operate hands-free when driving on well-marked limited-access highways. Look, Ma, no wheels...or pedals. Several other manufacturers, including Audi and Mercedes-Benz have launched similar systems this year and plan step-by-step increases that will allow their vehicles to operate autonomously under a broader range of conditions. But most would still require a licensed motorist to remain behind the wheel, ready to retake control in an emergency. 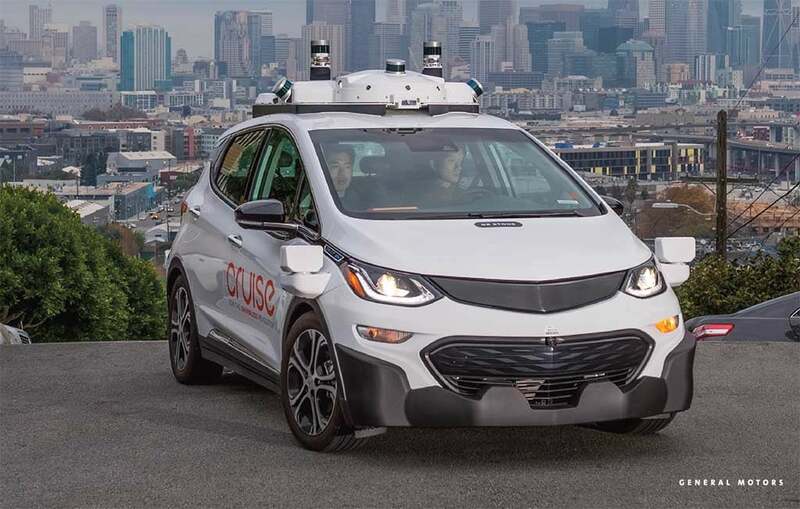 The vehicle GM plans to introduce – a modified version of its long-range electric vehicle, the Chevrolet Bolt EV — will be completely driverless. In fact, there would be no traditional controls for a motorist to use. But before it can put such a vehicle on the road it will need approval from NHTSA, said Kyle Vogt, the CEO of Cruise Automation, an autonomous technology company GM acquired for $1 billion a year ago. GM has requested waivers covering 16 specific regulations, according to Vogt, including one that requires an airbag in a vehicle’s steering wheel. “When there’s no steering wheel it makes no purpose to have rules requiring an airbag in the steering wheel,” Vogt said. 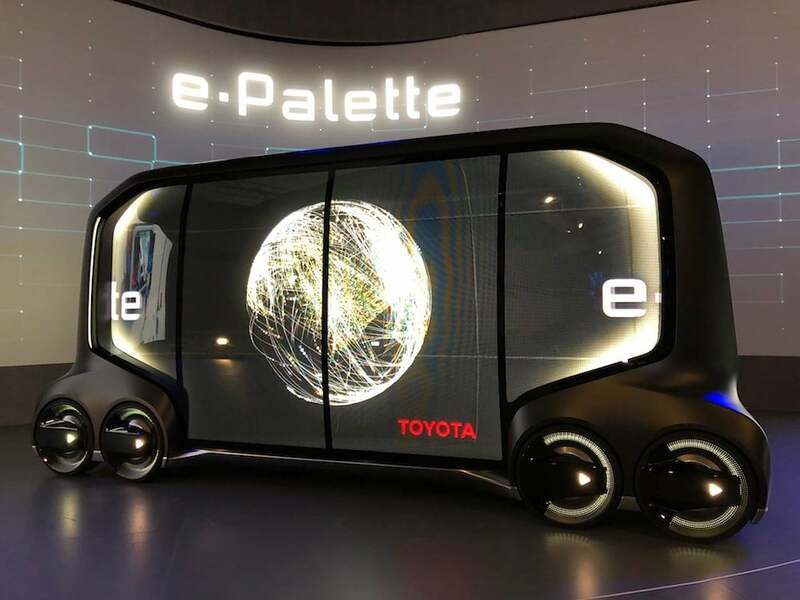 Toyota's e-Palette electric vehicle will make its debut at the Tokyo Olympics in 2020. If NHTSA approves GM’s request the robo-cabs will be able to begin operating in seven states that have already authorized driverless vehicles. The automaker plans to then seek approval from other states to broaden out the pilot program. The driverless cabs will be the fourth generation of autonomous prototypes the Detroit automaker has developed. It is already working on next-generation technology, though officials declined to say what will follow during a Thursday afternoon background briefing for reporters. GM isn’t the only maker hoping to get driverless technology on the road. 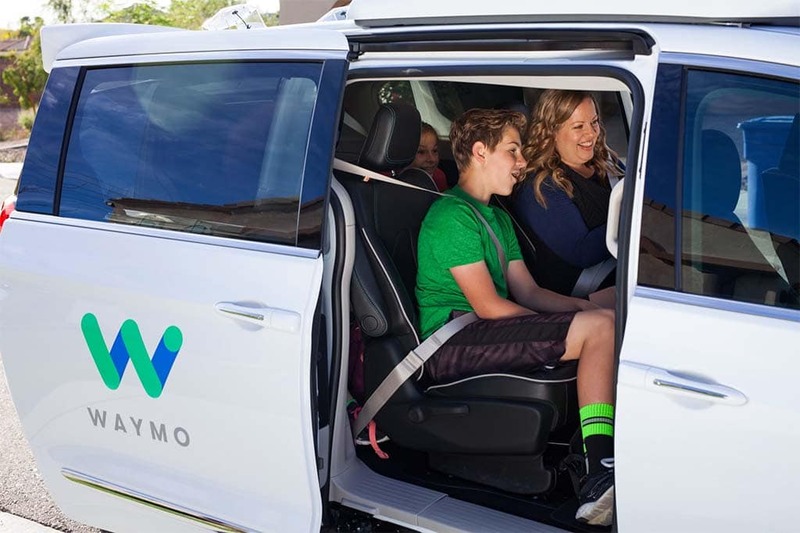 Waymo, the Google spin-off, is already field testing autonomous vehicles as part of a pilot ride-sharing program in the Phoenix area. It has said it wants to add fully driverless versions of the Chrysler Pacifica Hybrid sometime this year. Among other manufacturers working on the technology, Ford has announced plans to put a driverless vehicle into production by 2022. Waymo plans to driverless Chrysler Pacifica Hybrids to its Phoenix ride-share pilot program. In the technical hierarchy of autonomy, manufacturers like GM and Ford, as well as new entrants like Waymo, are working on Level 4 systems. These still have some limits to when and where they can operate – something typically referred to as “geo-fencing.” That may limit use in extreme weather conditions as well as in particularly dense urban environments, such as the streets of New York City. Level 5 systems, which can operate anywhere, anytime, are generally not expected to become a reality until later in the coming decade. Meanwhile, driverless technology is expected to be largely focused on sale to ride-sharing services, as well as trucking and delivery fleets. A key reason is cost. 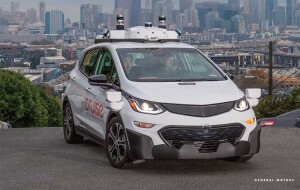 The modified Chevy Bolt hatchbacks GM will launch each use five LIDAR sensors — a technology that views the world through high-resolution 3D laser. Those sensors have cost as much as $75,000, though prices have begun tumbling and now run under $7,500, according to various industry officials. Even that number has to fall sharply, experts contend. Along with other developments in driverless technology, experts say, that could help make driverless vehicles a common sight on U.S. roadways over the next few years. This entry was posted on Friday, January 12th, 2018 at and is filed under Automakers, Automobiles, Autonomous Driving, Business, Cadillac, EVs, Electrified Vehicles, Ford, GM, Lyft, Mercedes, Ride-Sharing, Semi-autonomous Driving, Technology, Technology, Trends, Uber. You can follow any responses to this entry through the RSS 2.0 feed. Both comments and pings are currently closed.